I've always been intrigued by the idea of ghosts, and have heard plenty of stories of supernatural activity to make me at least open to the possibility. With Halloween just around the corner, I thought it would be fun to share some spooky stories, favorite scary podcasts, and other Halloween fun. The stories I'm going to be sharing are all 100% true stories that happened to myself, Dan, and my mom. There could be a perfectly reasonable explanation to everything, but that wouldn't be much fun! I hope you enjoy, and I'd love to hear your scary stories! A few years ago, Dan and I took a trip to Boiling Springs to visit his family. This was my first time staying at his dad's house, and I was to sleep in Dan's childhood bedroom. While I was chatting with Dan and his dad, he casually mentioned a ghost in the house. He likes to tease and joke around a lot, so I didn't think anything of it and figured it was one of his pranks. I went to bed without any thoughts of a ghost, but woke up in the middle of the night for no reason. The room was pitch dark, but I could clearly see the outline of a woman in Dan's opened closet, which was at the foot of the bed. I could see that she was pointing, so I looked that way, which was to the right of the bed. I didn't see anything there at first, then all of a sudden I saw a flash of light! When I checked the closet again, the mystery woman was gone, and I never saw her again. One October evening, I was sleeping alone and woke up in the middle of the night to something touching my legs near the foot of the bed. In the pitch-black room, I look out of the corner of my eye to see a small green orb dancing around the foot of the bed. It was about jelly-bean size and shaped, and was fluorescent green, almost like the color of a glow-stick. It had a foggy halo around it, extending in all directions. It was moving around erratically, back and forth, up and down. I went to get up to see what this light was, but quickly realized that I couldn't move. I felt an incredible weight on my chest holding me down to the bed. I couldn't move my arms or legs either. I couldn't speak and I could barely breathe from the weight on my chest. All I could do was listen to my faint heart beat get louder and faster. The green orb slowly dimmed to black as I was seemingly forced to go back to sleep by whatever this object was that was fixated on me that one October evening. We moved in to Riverview Tower when my mom became the personal nurse to the elderly lady, named Louise. The mansion was built by her grandfather as a wedding gift for her father. There were two unusual deaths that had happened there in the early 1900's: Louise's brother died in his sleep as a young adult, and a cause of death was never found. The second death was her sister-in-law, who fell down the back steps and broke her neck. 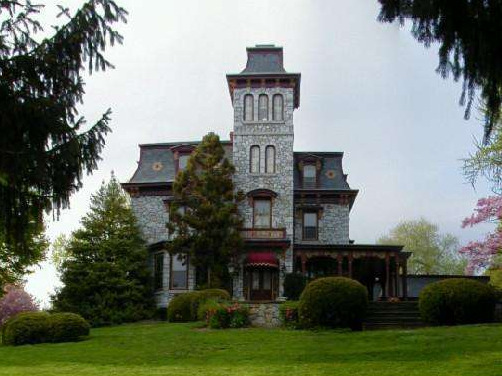 Riverview Tower- the quintessential "haunted mansion"
After Louise died, the house was sold. A few years later, my mom's hairdresser had a story to share. Her boyfriend was an electrician, and was hired by people who had bought a "mansion" to install new electrical wires throughout the entire house. When they started the work, they had to break down the walls in the bedroom. On an interior beam, the names "Jim, Dot, Monika, and Erika" were carved. My mom shocked the stylist when she told her those were the names of her family. It turned out the mansion she was talking about was Riverview Tower. The new owner and his girlfriend reported hearing frequent, unexplained noises. The girlfriend moved out, and the owner began sleeping with a shotgun. Limetown : Ten years ago, over three hundred men, women and children disappeared from a small town in Tennessee, never to be heard from again. In this seven-part podcast, American Public Radio host Lia Haddock asks the question once more, "What happened to the people of Limetown?" The Black Tapes Podcast : a serialized docudrama about one journalist's search for truth, her enigmatic subject's mysterious past, and the literal and figurative ghosts that haunt them both. How do you feel about paranormal activity or supernatural? Ghosts? Spirits? Demons? Do you believe? Welcome to Night Vale : twice-monthly podcast in the style of community updates for the small desert town of Night Vale, featuring local weather, news, announcements from the Sheriff's Secret Police, mysterious lights in the night sky, dark hooded figures with unknowable powers, and cultural events. Turn on your radio and hide. Lore : bi-weekly podcast about the history behind scary stories. The people, places, and things of our darkest nightmares all have real facts at their core. 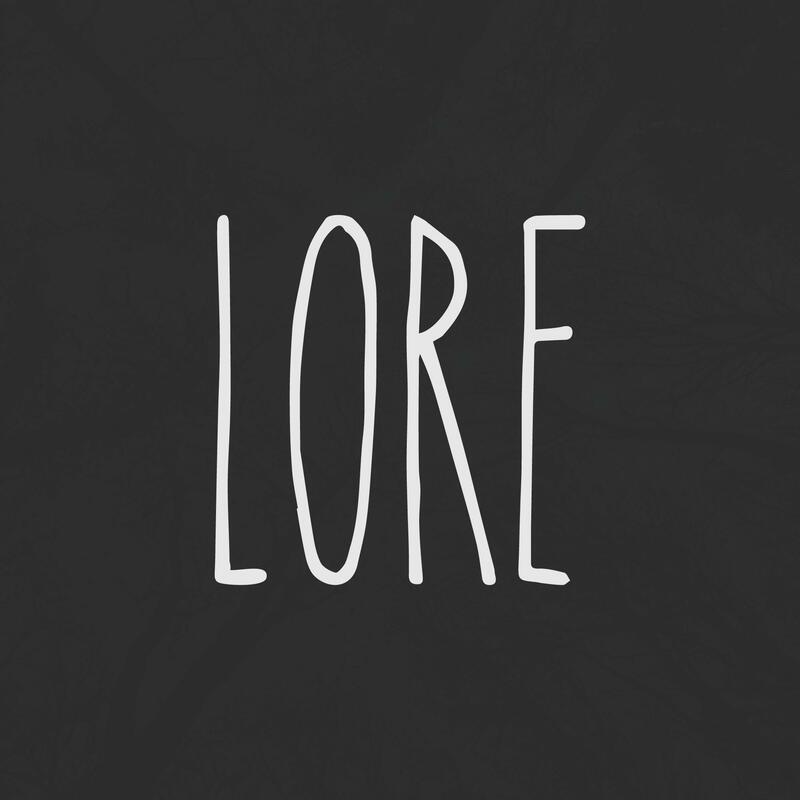 Each episode of Lore looks into a uniquely scary tale and uncovers the truth of what's behind it. Sometimes the truth is more frightening than fiction. How adorable is this couple's costume? I actually made these last year for a work party, and they were extremely easy to make and turned out adorable! 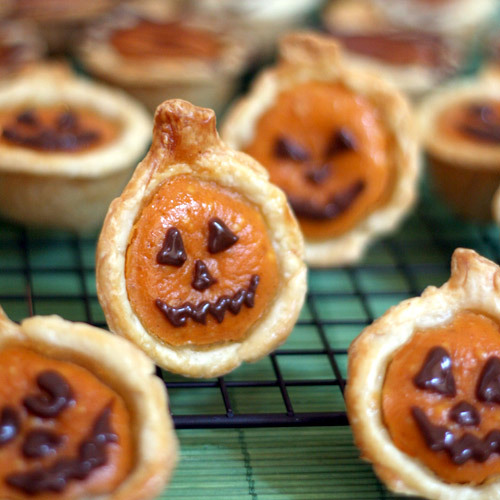 They also taste just like a pumpkin pie- yum! Even though these are time consuming, they seem easy enough to make and look really cute. They would be perfect for a Halloween party! Plus, sweetened condensed milk in a shot? YES PLEASE! 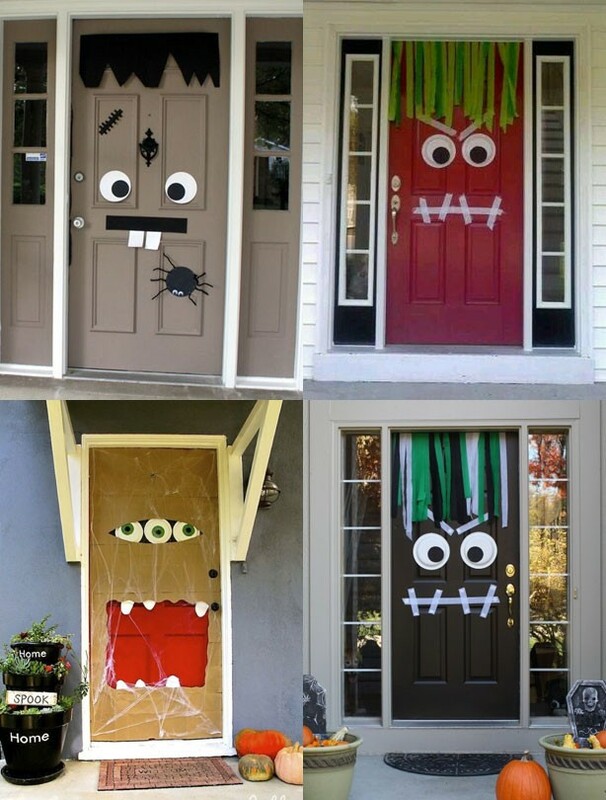 How adorable are these doors!? They look really easy to recreate, and it's sure to make a huge impact on anyone passing by! linking up with Amanda and Secret Blogger Club! I totally believe in all of those ghost/freaking things! That's so freaky about the orb and your x ray! I wonder who/what that orb was! I recently learned about seeing white orbs in photos, now I go back to look at our old pictures to see if I can spot any, I have one photo from my son's first birthday party with the white orb, which I do not believe is just light reflection! I've heard of that too! That was the topic of one episode of Black Tape Podcast, but it was a tall black figure instead of a white orb. Freaky!! i believe something, idk what, happens. i've had too many experiences to not believe something happened. Same here! I don't know exactly what it is but I know something's going on! Dan's great grandfather opened a bottle of his home made wine for me and my sisters...years after he passed. We were on the breezeway talking about whether or not to open my one remaining bottle of his wine when we heard a loud crash. I went in to the empty house and saw that the bottle's cork had blown out. It tipped so that only a few drops were lost. That was dad saying to us to savor each moment now. I also had someone push my shoulder really hard once. And I saw a man in a white shirt on the breezeway too. I'm a firm believer in the afterlife since I went to a medium. She told me so many things that were impossible for her to know. Even my mother's unusual middle name...Blanche. Ohhh freaky stories!! I don't know if I would want to go to a medium..
Ah I love this post- real life scary stories are the best! I don't really have any (thankfully) that happened to me, but I appreciate you sharing those podcasts- will definitely be checking out Lore! I am SO into this stuff!! I've had only one experience like this and it was the craziest/most exhilarating night ever! The fun part is that I was sitting in the living room of an old house in the middle of nowhere at my best friend's 21st birthday dinner. Her family-friends who owned the house were talking about the man who haunts it and he started showing out literally right before our eyes. There was no denying it! Wow that's crazy! I would have freaked out. I like those stories but it still scares me! I've never had a ghost experience, and I'm not sure what I would do if I did. My favorite ghost story is the classic Sleepy Hollow. I honestly don't think I know that story..I'll have to read it this weekend! Happy Halloween! The stories about Dan's childhood house are scary! I assume his parents still live there? Do they experience the ghosts often? I actually have a ghost in my current house. I have a post scheduled for tomorrow all about it! That mansion is beautiful, btw. I loved reading your story! Spooky :) His dad just moved out of the house actually, and I don't think he's had any experiences...at least that I know of! Ooooh, I'll have to read these stories out to Andrew. He loves spooky stuff and is way more open-minded than I am about it all. 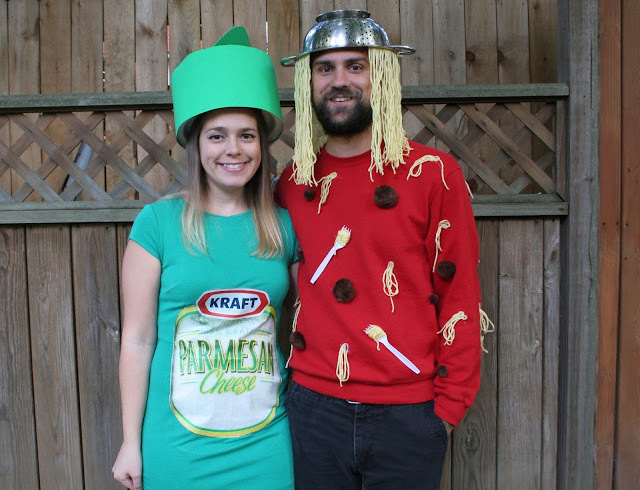 I love the spaghetti and parm cheese costumes lol. That's so dorky and so awesome. I could see you wearing that costume! Very cute :) I hope Andrew liked the stories! I totally believe in ghosts, or spirits, or supernatural things, or whatever you want to call them. I've had plenty of creepy experiences, but I try not to think about them because I'm the biggest wimp and can't sleep afterwards. Heck, I haven't watched a scary movie in like 13+ years lol. Same here! I can stay up all night thinking about spooky stuff. There are so many scary movies that sounds interesting but I could never actually watch them! The last one I saw was Darkness Falls and it still freaks me out! I love spooky stories and scary movies this time of year! Also, the candy corn jello shots and decorated doors are adorable. Ahh, so many chills! I totally believe in ghosts! I just think there are WAY too many people out there with stories like this to completely write them off! I agree! Everyone can't be completely crazy, right? Creepy stories! My husband once lived in a haunted house as a child - doors would open, with handles turning and everything, and just lots of creepy noises and stuff. I'm such a baby that all this stuff spooks me! Ohh spooky! I would move away ASAP! My dad grew up in cemeteries but never had any ghost encounters. Crazy! LOVE THIS! I am listening to Limetown right now, and I am so intrigued. I'm bummed there is such a long wait n between each podcast though! I don't know where I stand on believing in ghosts, but I definitely think there is ... something? I don't even know how to explain it. Happy early Halloween Gretch! I hate the wait as well! I followed the reddit group on limetown so I love reading all the theories and it keeps me busy in between episodes. Happy Halloween girl! I had to stop listening to Black Tapes Podcast because it scared me so much! It's so good but I was having nightmares lol! Rabid deer?! NO THANKS! I believe for sure... My cousin bought a house and the previous owner left a hat hanging on the wall. My cousin calls the man and says you forgot your hat. The man replies "that's not my hat, it belongs to tom the man who died in the house years before I moved there". We thought he was joking but everytime we would move the hat the next morning it was hanging again. Wow that is scary!! Thanks for sharing! I would say that I don't believe in ghost or super natural but that doesn't mean I wouldn't be scared! Those are some creepy stories above! How creepy!!! I have exactly zero stories like that but I'm officially freaked out by yours!!! Yay! That was my goal haha! That looks like the perfect haunted mansion. I'm not sure I could have ever lived there. I personally have not had an encounter but have heard the stories of others. I believe.